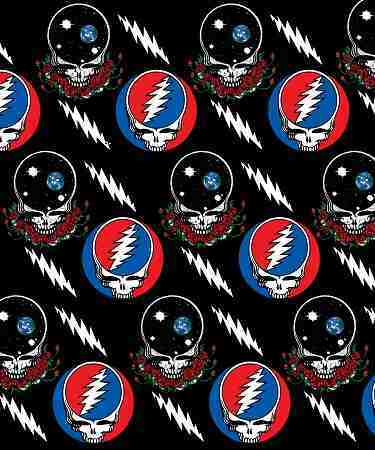 This new Grateful Dead blanket has the Stealie design with the original art that features the Space Your Face skull and 13 point lightning bolts. This soft fleece SYF throw is not only made for warmth but also comfort and art. It measures 50" x 60" and is great to bring camping, a festival or for relaxing on the couch. You can even put it on the wall as a wall hanging. Officially licensed by Grateful Dead merchandising.